Perhaps among you, there who have never heard the name of Spada Codatronca TS supercars. 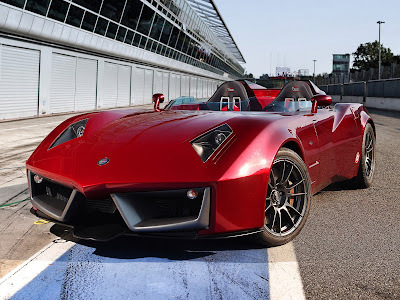 This car was introduced for the first time in 2008 by Spada Vetture Sport (SVS), an Italian design studio founded by Paolo Spada (former designer at Smart and Honda) together with his dad Ercole, (former chief designer at Zagato and BMW), and many others. 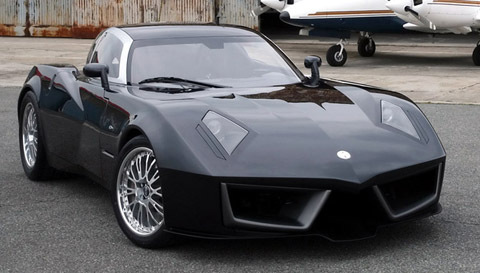 After a gruesome three months of testing and many more, then they managed to launch their supercar named, the Spada Codatronca TS. Since their upgrade on the TS (Turismo Sportivo), they have upgraded their "converter kit" which lets the user's car with E85 green fuel, which increases their torque and power. The chassis was derived from that used by the Chevrolet Corvette C6, but featured all-new bodywork. The bodywork is made from carbon-fibre, whilst the aluminium chassis features a roll cage. With a Chevrolet LS7 V8 engine could spewed the power up to 630 horsepower, this car can reach from 0-100 km/h in 3.4 seconds and it has a maximum speed of 340 km/h (211 mph). Sparco, from Turin will supply the seats and other interior items. It uses Brembo disc brakes all around; 380 mm (15.0 in) discs with eight-piston aluminium calipers at the front, and 355 mm (14.0 in) discs with four-piston aluminium calipers at the rear. 19" OZ alloy wheels are fitted, and shod with Pirelli P-Zero Corsa tyres; 285/35 R19 at the front, and 345/35 R19 at the rear. In 2011, Spada Vetture Sport announced that they would be building a convertible version of the Codatronca TS, named the Codatronca Monza. The Monza used a supercharged version of the Codatronca TS' 7-litre V8, and produced a claimed 710 hp and 701 lb-ft of torque.